Online reputation management for doctors falls under the category of marketing services meant to repair and improve a health professional’s online presence. It tackles the reviews, embarrassing public incidents, bad press coverage or malpractice lawsuits that might threaten a medical practice’s success. When negative media coverage or online reviews about doctors appear online, medical practices see a one third drop in visits and calls to their offices, causing a potentially disastrous financial impact. When any of these events occur, doctors tend to enter “crisis mode” and often scramble to find the best strategies to restore their reputation. Usually, reputation management companies refuse to divulge the techniques used to repair a doctor’s online reputation. Unlike most agencies, at Digital Authority Partners we prefer to be honest and transparent about how we approach reputation management for doctors. If you or your medical practice are dealing with a reputation issue, read our ultimate guide to online reputation management, along with an explanation of how each technique works. As early as 2012, 60% of US customers researched their doctors online.By 2016, 84% of patients researched new medical practitioners before their first appointment. Positive reviews and coverage are consistently considered important or very important before scheduling an appointment with a specific doctor. The first page of Google search results tied to a doctor’s name or practice is the new business card. While some doctors may still choose to ignore this fact; their prospective patients will not. Bad press won’t go away. So a lot can go wrong if you don’t address the problem head on. This is the simple truth about online reputation management for doctors: bad reviews and bad press coverage don’t go away. As a consequence, prudent doctors have taken very aggressive measures to guard their reputation. But there are good ways and catastrophic ways to restore your reputation. This article will only focus on the tried and true tactics to restore a doctor’s reputation. Let’s pause for a second and explore the unfortunate ways some doctors try to deal with their tarnished online reputation. According to Aaron Schur, Senior Director of Litigation at Yelp, the company regularly receives subpoenas from legal counsel retained by doctors to fix their reputation. Yelp rarely acts on these aggressive legal tactics to remove customer feedback. Even though negative coverage never goes away, the worst thing a doctor can do is fight fire with fire. In 2016, a Manhattan dentist sued multiple Yelp reviewers for their negative reviews – a move that backfired. The New York Daily Newsbegan its coverage of the suit in very unflattering terms: “A Manhattan dentist has been trying to extract money from patients who give him bad reviews online.” Then the case caught the attention of national media. The Manhattan dentist mentioned above is a prime example of what reputation management companies advise against. Obviously, more negative coverage is the opposite of what a medical practice needs to restore trust in the digital space. Instead, any reputation expert will advise its customers to focus on other strategies that are more likely to succeed. The best way to deal with negative reviews and coverage is to bury it with positive content. How do you bury negative content? By replacing it with a single recipe for success: use Google’s search algorithm in your favor by creating valuable content that pushes the negative content associated with a business name after the first page. It doesn’t happen overnight. And it’s easier said than done. Regardless of your industry, there are specific white hat marketing techniques that can be employed to repair your online image. These are legitimate, widely accepted tactics promoted by some of the most renowned marketers in the world. The rest of this article presents 11 tried and true tactics Digital Authority Partners leverages to successfully restore the online reputation of doctors. We strongly believe all doctors should know exactly what steps we follow to repair their online reputation. The first and most valuable strategy to repair your reputation is to create a website dedicated to yourself and/or your practice. In some cases, you should consider doing both. Why build a website for yourself or your medical practice? A website serves multiple purposes. First – it introduces a doctor to the world. A good physician-dedicated website tells the story of a specific doctor, the values to which he or she adheres and provides testimonies about the quality of services the physician provides. So, what makes a doctor’s website rank highly in Google search results? Launching your own physician website has multiple benefits. First, if done right, your website will be found when patients look up your name. That’s very powerful. Even if patients find some negative reviews, making a great first impression is imperative. Second, in online doctor reputation management, it’s best to have a website that clearly presents all the critical information about yourself you want emphasized. Your website is a building block, a central place that will be used for all aspects tied to reputation management. For example, one of the foundational strategies to improve an online reputation for a doctor involves the act of securing backlinks to the cornerstone digital property. That can be your own personal website or a website dedicated to your business. Either way – for any reputation management campaign to succeed you need one primary digital property that you own and control. The reason that matters is because a centralized digital property with a robust analytics platform is needed to actually measure and improve on the overall effectiveness of your reputation management campaign. Third, a personal website is your own forum. It’s where you can share updates about your practice, show your thought leadership, and engage with patients. In short, having a website is the single most important tactic of reputation management for doctors. If you talk to 10 marketers, all 10 will tell you that the best way to manage your reputation is to have a blog. A blog lives on the internet forever (or as long as you pay for your web hosting). More importantly, a blog allows you to speak to your patients – current and future – to show your expertise and the value you bring to your clients. Most important of all, a regularly updated blog is more likely to bring new clients, garner repeat business, and help you and/or your practice rank higher in Google search results. Why launch a blog for yourself and/or your medical practice? Starting a blog may seem to be a daunting task. How often should you publish content? Will you regularly have time to do it? Is it really worth it? If you talk to any reputation management company, you will often see a list of clear and indisputable benefits tied to starting a blog. If you are in process of repairing your reputation online, here are some quick reasons why you should start a blog for your practice or yourself. As other experts have pointed out, a pleasant side effect of physician-run blogs is that they lead to more business and referrals. Most importantly though, from a pure reputation management perspective, a physician blog (preferably on your website) nearly guarantees that your content appears at the top of the Google search results. This is why most reputation management companies make the creation of new and original blog content the Number 1 technique to bury negative results in Google. In sum, no legitimate reputation management campaign can succeed without creating great blog content on behalf of a doctor. The key to success, when dealing with a reputation management issues, is to create relevant, timely content associated with a physician’s name on multiple platforms. As we saw above, one of the easiest ways to create valuable content is to start a blog. However, even if you create the single best physician blog on the internet, that will likely only bury one of the first ten Google search results. A robust doctor reputation management campaign needs to do more than that. The easiest way to bury negative reviews or press coverage is to create new content on other websites as well. For example, at agencies like ours, we have partnerships with over 400 blogs that accept guest submissions from the doctors and clients we represent. First, we work with each client to determine the topics that will best showcase their expertise. Then our team of writers create long, in-depth content pieces that are published under our client’s name on other websites. As part of the guest posting efforts, we secure backlinks to our physicians’ websites or social media profiles (more on that below). If you are a doctor with a significant reputation management issue, guest posting is one of the best strategies for displaying additional Google search results when a patient looks online for your name or the name of your practice. Guest posting is perhaps the most popular doctor reputation management tactic for restoring physicians’ online reputations. Clearly, guest posting has numerous benefits, but the technique is primarily used to get backlinks to specific interviews and news coverage about you and your company. 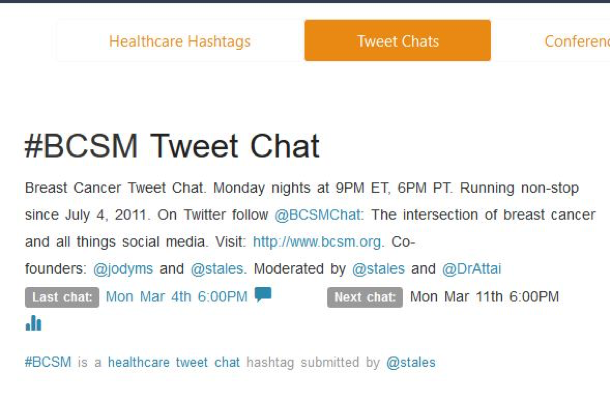 Guest posting can be on another physician website, blog, or social media profile. Links from guest posts will point to whatever content we create for you. Google takes a wide variety of digital signals into consideration when ranking content for a specific search term. When running a doctor reputation management campaign, the best way to get meaningful results is by tackling all the major signals drawing Google’s attention. It is well established that social media activity has an impact on Google search results. Specifically, Google is drawn by the number of visits specific websites and blog posts receive directly from social media like Facebook, Twitter, or LinkedIn. This strong correlation between Google search results and social media activities is what drives most successful reputation management campaigns for doctors to include a social media component. Creating robust social media profiles combined with frequent posts has proven to be a very effective reputation management technique. By creating strong social media accounts with regular posts, every doctor with whom we perform reputation management initiatives will see their social media profiles rank on the first page of Google search results tied to their own or their firm’s name within 60 days. Social media is a powerful tool not only for restoring your online reputation but also for proactively engaging your patients and future clients. An article from March 2018 reveals how various physicians all over the US leverage social media to combat misinformation – not only about their own practices but also about specific conditions, diagnostics, and other timely healthcare news that could affect their patients (ex., flu season, epidemics, etc.). This makes social media management incredibly relevant not only for reputation management but also for long term digital engagement with your patients. The first priority when improving a doctor’s reputation is to make sure locals searching for a doctor’s name see relevant results – preferably not the questionable ones. To that end, the most important step when initiating a local SEO strategy is for a practice to claim its local Google business listing. When searching Dr. Gnatenco’s name, Google search results return her image, Google map location, specialty, address, and phone number. Since reputation management campaigns center on optimizing the Google search results, claiming, optimizing, and managing a Google business listing page is important for online reputation management. Google allows for mini-posts on the Google listing page – something that helps with SEO and reputation management initiatives. This is one of various “social” online listings that carries a lot of weight when tying a doctor’s name and medical practice to Google search results. There are many customization options on the Google Business Listing dashboard, giving doctors the opportunity to create powerful and influential profiles for potential patients to visit. When looking for new service providers, most customers go to two sources: Google and Yelp. For doctors who are doing well – reviews are a great way to attract new customers. For doctors dealing with unhappy customers and other PR baggage, online reviews can be a nightmare. Doctors’ responses to the new world of online reviews have not always been appropriate or even legal. In 2016, a Washington Post investigation into 3000+ physician responsesto negative reviews on Yelp and Google showed that an alarming number of doctors violated HIPAA compliance rules when responding to disenchanted patients. Other doctors – who used a passive aggressive tone or responded rudely to online reviews opened the door to additional criticism and unwanted attention from online users who were offended by physicians’ postings. In general, doctors should not take it upon themselves to respond to online reviews. That’s because it is impossible to not feel emotional when dealing with negative comments. Instead, doctors should either designate a staff person to this task or outsource responses to reputation management consultants. This approach will often avoid making a situation worse or drawing more unwanted attention. Responding to a negative review poorly is not the only problem doctors face with regard to their online reviews. Another unfortunate tactic some physicians erroneously employ, not addressing online reviews at all. Online reviews aren’t only read by patients. A 2013 study showed that 86% of doctors read their own reviews; 36% also regularly check their competitors’ reviews. As a result, online reviews can affect not only a physician’s ability to acquire new patients but also his/her standing as a member of the medical community as a whole. In general, the appropriate course of action for doctors dealing with online reviews is to respond to every single new review – positive or negative. That shows others researching doctors that you listen to your patients’ concerns and address them professionally. Don’t forget – you can’t make everyone happy. However, you can treat everyone with respect and courtesy – especially when everyone in the world can see your online interactions. How should physicians and reputation management agencies respond to Google and Yelp reviews? The best approach, is to answer to every single online review as part of your ongoing reputation management activities. But how should a physician respond to negative reviews online? There are many ways doctors can tackle negative reviews in their reputation management campaigns. Through it all, remember this point: a bad review doesn’t ruin a business. It’s impossible to please everyone. The best technique is to keep your head cool and to give professional answers to every single review online – good, bad, or ugly. One of the best approaches to online reputation management for doctors is to create rich profiles on a wide variety of platforms set up specifically for doctors. Just like mainstream social media platforms such as Facebook, Twitter, or Linkedin, social media platforms for doctors stand a very good chance to rank organically in Google for the search term associated with the name of a specific doctor. CareDash: As one of the fastest growing provider review sites, CareDash uses artificial intelligence to help detect and stop the publication of fraudulent reviews. Doctors can easily create and personalize their profile, and patients trust the platform to help them confidently choose their care provider. Doximity: An online social network for doctors with verified clinicians’ profiles. As of 2018, the network has over 1,000,000 doctors and physicians. That’s approximately 50% of all doctors in the US. Sharecare: An online health and wellness platform and doctor directory. Sharecare lists each doctor’s full profile – including insurance plans, years of experience, biographical information, specialities, professional affiliations and educational background. The platform also allows doctors to answer questions and provide thought leadership on specific topics. WebMd: One of the largest healthcare news and directories in the world. The company allows doctors to create free profiles and advertise on the platform to get new patients. For reputation management companies, creating online profiles in established directories is an “easy win” to influence google search results. Given the nature of some of the directories – where doctors need to verify their identity – new profiles for specific doctors are usually easy to set up and then rank in Google. Google sees verified directories as highly legitimate social signals for ranking those profiles highly for specific keywords. Whether you are actively working on your reputation or not, one thing is certain: you should absolutely have yourself and your practice listed on some of the most popular – and free – directories in the US. One often ignored technique for ranking high in Google search results is the practice of creating profiles on Q&A websites and responding to questions posted on message boards that are within the doctor’s specialty. For example, Quora is the most popular question and answer website in the world. It ranks 90th for the most popular sites in the world and 3rd for Q&A sites. On Quora, anyone can create a profile under their own name and contribute to the community. However, Quora has a lesser known benefit. Engaged users who create relevant content using their actual names, can be up-voted by their users. This usually results in that individual profile ranking higher for the name of its author. In simple terms: a doctor can create a Quora profile under his/her name. After answering questions on specific topics, the Quora profile link will appear in the results of a Google search when a user looks for the name of a specific doctor. The following infographic is based on a Quora thread around the SEO benefits of using Quora to get positive results. In many ways, Quora is just like many other social platforms available. However, by its very nature, Quora is a content platform. That means it can be used to showcase a doctor’s expertise, credentials, and thought leadership. Relevant Quora profiles rank high in Google search results, while simultaneously pushing down negative content tied to a specific physician’s name or business practice. Here is a lesser-known fact: YouTube is the second most popular search engine in the world. Furthermore, YouTube is also a tried and true tactic that has become increasingly popular among doctors to attract new patients, learn new methods, and even attract new employees. In addition, YouTube allows users to create a custom URL in their own name for their channel. As that URL gets backlinks, it will start ranking in search results. The SEO benefits have made creating a channel and getting a custom URL a very popular technique for reputation management firms. This means that if a reputation management company is to reap the SEO benefits for a client from YouTube, it’s not enough to just create a YouTube profile. Reputation management companies need to work with a client to create relevant video content. Then, the video content needs to be promoted. Potential subscribers need to be found and encouraged, through campaigns, to follow the channel. In the end, this is worth the effort. When a doctor or reputation management company uses YouTube correctly, the YouTube channel for a specific physician can become one of the top ten search results associated with a specific doctor’s or practice’s name. Many doctors feel intimidated by video content. When we think video – we think high tech video editing, sound editing, special effects, and more. Actually, any doctor with a smartphone can become a videomaker. The videos can be about any relevant healthcare topic. Some examples include: testimonials, health related tips / tricks, video from a conference, etc. Any video – small or big – can help with reputation management. Especially when you are dealing with negative online reviews, YouTube becomes a great channel for online visitors to see you in action, sense your personality and charisma, and relate to you as a doctor outside of any negative reviews found online. YouTube is one of the most powerful tools to quickly and efficiently improve your online reputation. Creating a powerful SlideShare online profile is another popular technique used by reputation management companies to remove negative reviews from the first page of Google search results. SlideShare is a social network allowing users to publish professional presentations, infographics and documents online. The website gets approximately 80 million visitors a month and has over 30 million users. In 2012, the company was purchased by LinkedIn for $119 million. SlideShare has long been used for marketing and SEO purposes. Like other techniques presented in this article, SlideShare is simply another online social network which, when used correctly, can offer businesses and physicians a much needed search result in the process of burying negative results in Google. Like Quora, SlideShare is created around topics. This makes it easy to create a robust strategy to rank higher in Google search results. As with other techniques discussed in this article, SlideShare is great for reputation management. Prepared correctly, Slideshare accounts can even replace other Google search results and help physicians rank higher for their own content. Reputation management never stops. Even when a specific issue is resolved, physicians must be diligent about their online presence and quickly react appropriately when necessary. In the search bar above, a doctor can enter a personal name or the name of the business. Any time the name is mentioned online, an email alert is sent. This strategy is very effective because it allows doctors to easily maintain their reputation management. Rather than waiting until the last possible moment to respond to negative reviews or negative PR coverage, physicians can deal with problems early. In reputation management, it’s imperative to answer criticism proactively and quickly counter any negative publicity. This simple tactic will keep you instantly informed and give you peace of mind. With custom alerts you can sleep well at night because you know you have access to any good or bad online news as soon as your name is mentioned. Most reputation management companies prefer to speak about their strategies in vague terms to avoid revealing their secrets. Online reputation management for doctors is a science. To bury negative results, a doctor or company needs to employ these 11 techniques to create fresh, authentic and relevant content to replace negative online reviews . Doctors should remember that the elements of reputation management that change Google’s search results won’t have an effect overnight. Many clients want to know exactly how long it will take to bury specific results. The answer is: nobody knows. In general, it can take between 4 and 6 months for aggressive reputation management campaigns to be 100% successful, but no one can honestly guarantee that.